Piccadilly chips (or lovingly called piccadillies around these parts) are a local delicacy. 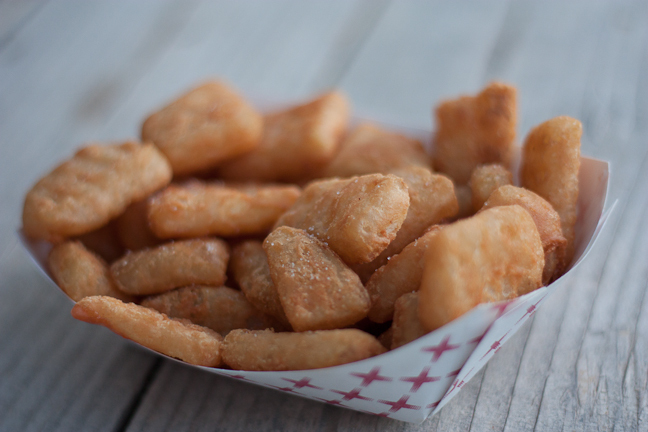 Kinda like a mix between tator tots and fries – these beauties are bite-sized fried mashed potatoes. They are sold at the small fast food restaurants in the area and are made at a manufacturing plant about 20 miles from where we live. Condiments vary by location. 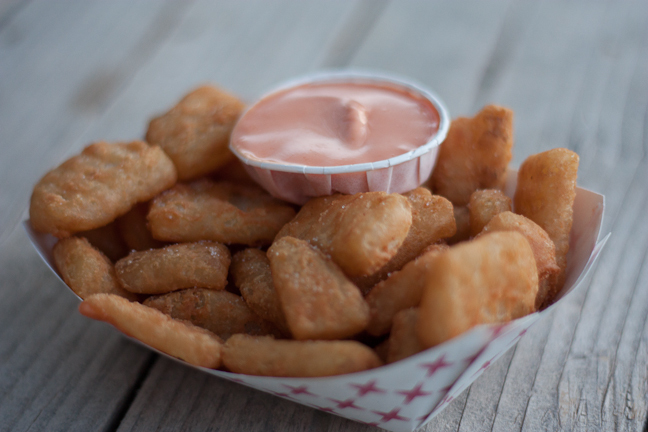 Most common are tarter sauce and fry sauce. Unique and delicious. We just had to share these with Brendan while he was here. Three big servings for our family. Those look tasty. What is the best place to get these near you all? We will be in the area this weekend!!! 🙂 Might need to get us some!